Want to know what Highlands is all about? Want to take the next step toward becoming involved in the church family? Join us for Discover Highlands! As you tour the campus, you'll learn about Highlands and it’s ministries, meet the pastors and their wives along with other ministry leaders, and find out how you can be a part of it all. Join us on May 19th from 10:30am-12:30pm. Childcare is available. Lunch is provided at 12:00pm along with a time to ask the pastors any questions you may have. Children are welcome to join. Our priorities to be a biblically-based church, full of demonstrative love, with intimate, participatory worship, that reaches the lost and equips believers to serve others. 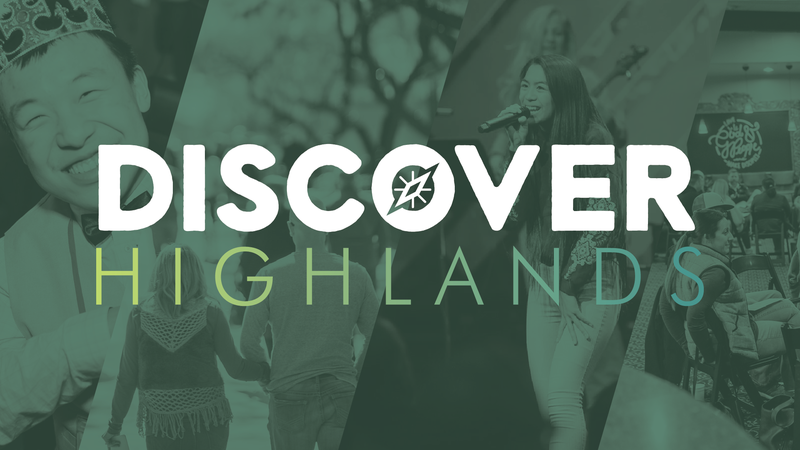 After attending Discover Highlands, we want to ensure you find your 'best fit' for connecting and serving in the Highlands Family. We have a single class session called "My Best Fit" that occurs the Sunday after every other Discover Highlands at 10:30am to help you. Our next class will be on April 14th. Register below.